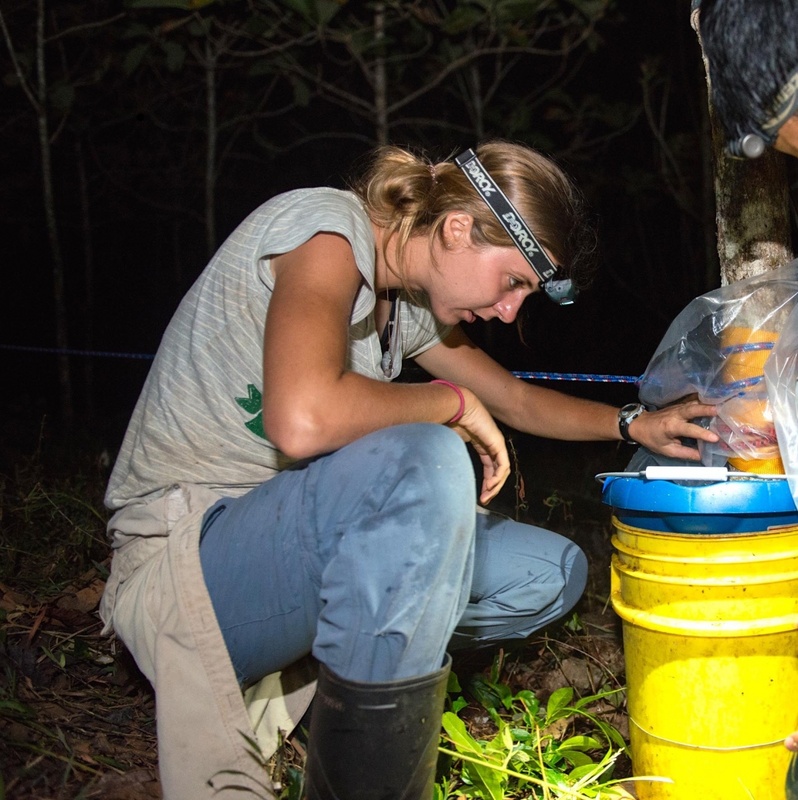 Katherine Sinacore, a doctoral student in UNH’s interdisciplinary Natural Resources and Earth Systems Science program, became interested in tropical trees during a trip to Peru with two professors following her sophomore year at Wake Forest University. The diversity of the forests amazed her, and, she says, she's been hooked ever since. Sinacore’s drive comes from a strong desire to find sustainable land management solutions that are both environmentally sensitive and socially just. She is already achieving that objective: Her research is enabling responsible land use decisions in Panama’s tree plantations. College of Life Sciences and Agriculture (COLSA): How do trees assimilate carbon and how the process help regulate climate change? Katherine Sinacore: Trees take up carbon dioxide through photosynthesis and store the carbon in their roots, leaves, branches and trunks. Forested areas can store a large amount of carbon, and when they grow, forests have the potential to remove greenhouse gas from the atmosphere to help regulate climate change. But forests can do even more than that — they can help regulate the quantity and quality of water in a watershed, they can reduce erosion and they can provide sustainable livelihoods to communities if they are managed well. Katherine Sinacore’s research in the Panama Canal Watershed uncovered new information about six tropical trees. COLSA: Why is your work important? Sinacore: There is quite a bit of work that estimates aboveground biomass (leaves, branches and trunks) but does not include the root system. These estimates are important because they provide crucial information about the total amount of carbon stored in a tree. However, one of the major obstacles is that you have to excavate the roots! This can be logistically difficult and costly. We are excited about our work because we had the resources to excavate roots down to 2mm in diameter (what is known as the “coarse root” limit). Finding that roots can account for nearly 30% of the [tree’s] total biomass is important, but what is even more interesting is that this is still an underestimate of how much biomass is stored in the roots. This is because there are fine roots with diameters less than 2mm. The underlying message is that roots are complicated and there is more biomass below the ground than we previously thought. COLSA: Where do you hope this research will lead? Sinacore: I think this is just the tip of the iceberg in terms of our research on roots. We know the amount of biomass these six species accumulate in their roots. We also know their general structure. It would be interesting to understand how the amount of biomass and root structure will change as a result of different environmental factors. There is a growing body of work in different parts of the world that are looking at this. I think we are poised to do the same. COLSA: Other than the size of the tropical trees’ root systems, did anything else about your research surprise you? Sinacore: Personally, I think the diversity of root structures that are hidden below the surface is incredible. Some trees send roots laterally along the surface and then roots grow downward from those lateral roots. The roots almost resemble tentacles from an octopus. Other trees have a central root that travels downward from the main stem of the tree. These different patterns and structures can lend a lot of insight into where trees are obtaining nutrients and water. COLSA: Why did you choose UNH and what do you value most about UNH’s Natural Resources and Earth Systems Science program? 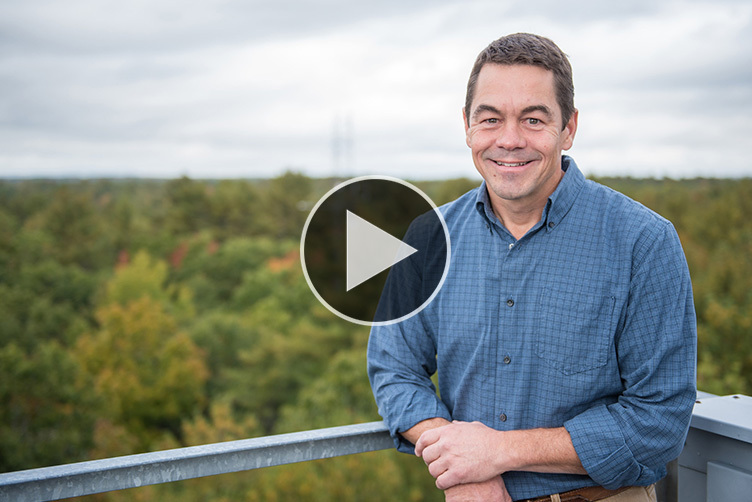 Sinacore: What makes UNH’s Natural Resources and Earth Systems Science (NRESS) program unique is the interdisciplinary nature of the program. This is important to the work I do and is one of the main reasons I chose UNH and the NRESS program. COLSA: How did you end up working on the project for the Smithsonian? Sinacore: One of my advisors at UNH, Heidi Asbjornsen, collaborates with Jeff Hall, a staff scientist at the Smithsonian Tropical Research Institute. When Jeff visited UNH in the fall of 2013, we discussed a project that I was interested in working on. A few months later, in January of 2014, I was in Panama working on my dissertation project. COLSA: What should a prospective student know about the university? Sinacore: There are lots of opportunities here for undergraduates and graduates to secure outside funding and travel abroad. A great example is Connor Breton, who was an undergraduate when he applied for a short-term Smithsonian Tropical Research Institute fellowship to come to Panama and work with me. He won the fellowship and joined me during the summer of 2014. He ended up returning in the summer of 2015 on an IROP from UNH. He is currently working on his masters in forestry at UNH with Mark Ducey [one of the co-authors on the paper]. COLSA: Finally, what do you miss most about Panama? Sinacore: There is a lot I miss about Panama. If I had to choose one part though, it would be the people. The people I met there went out of their way to make me feel welcome and supported even though I barely spoke the language. They also prioritized relationships and connections with people, which is something I loved about Panama and a part I tried to take back with me to the U.S.